Krinner UK supplies the innovative ground screw foundation product to the UK market, both on a supply only or on a supply and installation basis, through its associated krinner ground screw uk installer, JPCS. Some of the case studies featured in this section were delivered by Krinner UK installer, JPCS. Krinner UK is the sole authorised and approved distributer of the krinner ground screw foundation to the UK market. 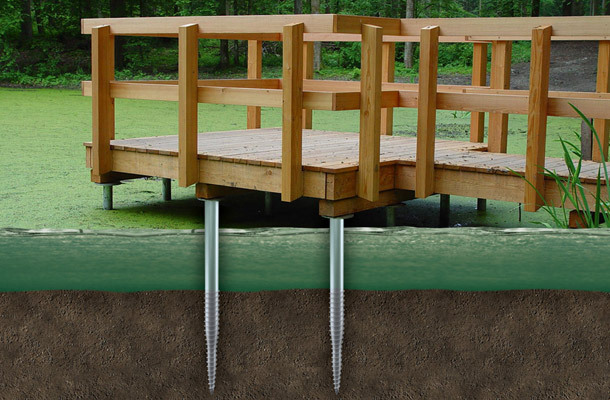 The krinner ground screw is a quicker, more efficient, and sustainable alternative to concrete foundations. With highly specialist krinner ground screw foundation products, Krinner UK provides ground screw foundations for a range of construction and civil engineering projects, as well as ground mounted systems for renewable energy. The ground screw is installed using a number of different screwing aids and machines and is driven into the ground at the exact point in a matter of minutes – no digging, no excavating, no concreting.